Today, the @vpodessa community offers to remember the past summer and dream of a new holiday by the sea. We want to offer you a material in which it will be a question not only of the sea, but also of dreams. In particular, we will continue to talk about unusual monuments and sculptures. 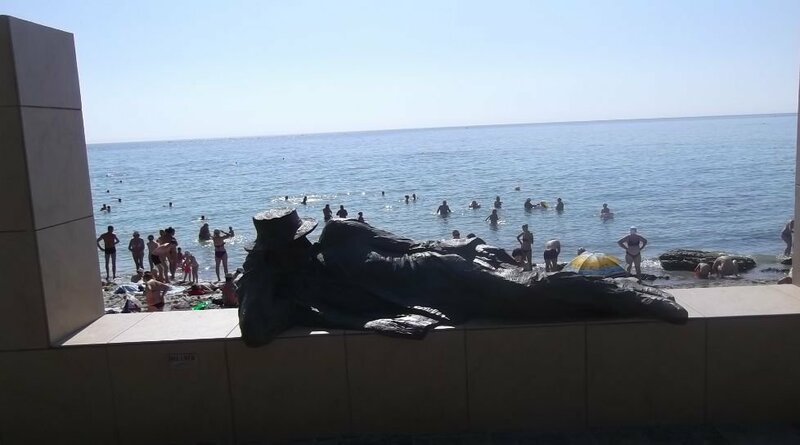 Last year a bronze dreamer appeared in Odessa. It is located at the 16 station of the Big Fountain. The dreamer indulged in dreams right on the parapet that separates the footpath from a beautiful and clean beach. 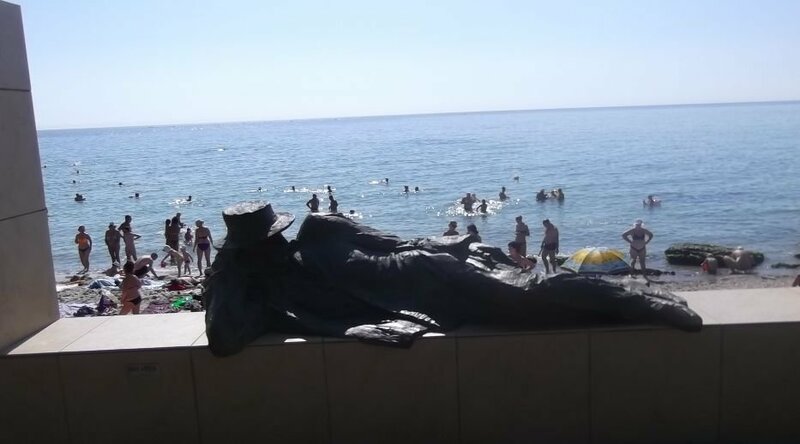 The guy in the hat, frock coat and boots is located near the beautiful Black Sea and has given up on dreams. What is he dreaming about? There are many options. Most likely that his beloved Odessa always remains a real pearl by the sea, the darling not only of Odessa citizens, but also of the inhabitants of the entire planet. The fact that the beaches are never empty. That each of us sets a goal to visit Odessa. Do not forget that those who have never been to Odessa, lived a life in vain. How did this bronze dreamer appear? 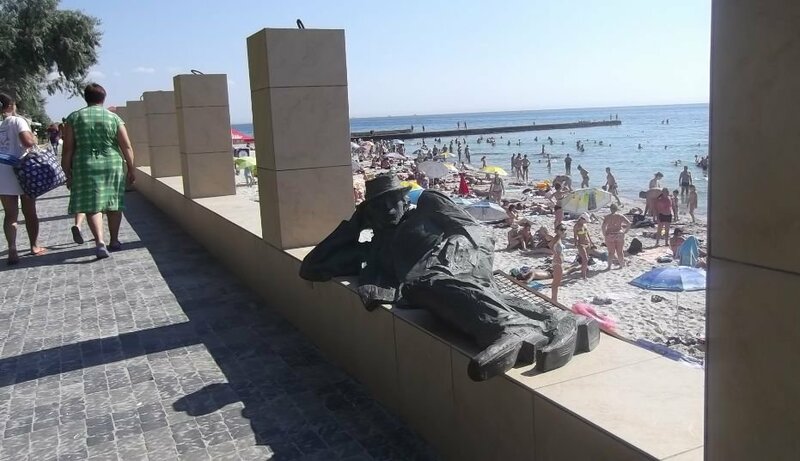 Many people know that the project is being implemented in Odessa: “The City of Sculptures”. On April 5, 2018, the Bronze Dreamer sculpture was presented to the city. The sculptor Serafim Chernin imagined him just that way. Now every resident of the city and guests who came to this place in order to relax by the sea will be able to dream along with the dreamer. Odessa is a city of wonders and lots of interesting things. There are always amazing events that will be stored in the memory of not only contemporaries, but also descendants. Many ancient events remain in our memory to this day. We will continue to tell amazing things for our beloved Odessa in particular, and the region as a whole!